Discover more about private investigators capability, employment and regulations in Smyrna. Welcome to International Counterintelligence Services (ICS), a private investigation agency operating since 1967. The success of many cases depend on how you decide to respond, so do not hesitate to contact ICS if you believe you are in need of private investigative services. You can receive a free, confidential consultation 24 hours a day with one of our on-call licensed private detectives. We can be reached at (888) 223-6494 or via through our online free consultation system. Hiring a private investigator in Smyrna, Tennessee may seem like a confusing or intimidating experience, but it does not need to be. If you have been considering hiring a Smyrna private investigator, consider ICS. Please contact ICS at (888) 223-6494 for any questions you may have about hiring a private investigator. All private investigators in any Tennessee city are required to be licensed through the Tennessee Department of Commerce and Insurance. 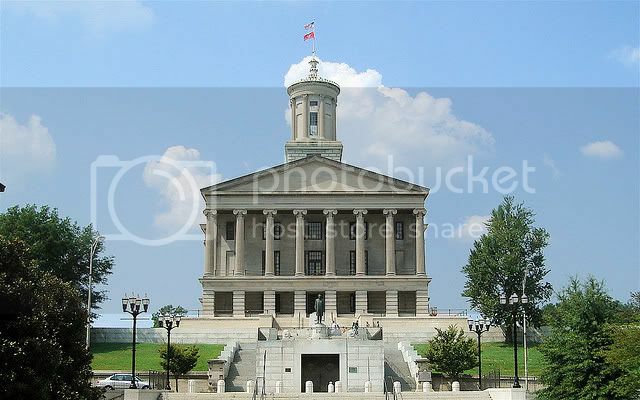 Before Tennessee private investigators can receive their license, they must complete the application, submit all accompanying documentation, pass an in-depth background check with fingerprinting, and pay the licensing fee. After the initial license has been granted, private investigators then must complete a certain amount of continuing education credits and renew their license every 2 years. Many private investigators have worked on a police force, in the military, with a federal investigative agency, or on an Insurance or Corporate Fraud investigative team to gain experience, although there are other, equally important forms of experience, including a degree in criminal justice. ICS believes that hiring a private investigator in Smyrna can and should be a simple and comforting process, which is why we always offer a free consultation, listen to the details of your case, and use licensed Tennessee private investigator sub-contractors, keeping you involved in the case from beginning to end. If you are ready to start your free consultation, call ICS or submit the online consultation form. ICS provides their clients with reliable and discreet investigations every time, no matter how large or small the case may be. We want you to feel confident when you choose ICS as your private investigation agency. If you need a private investigation and you live or work in Smyrna, call ICS and find out how a private investigation can help you. ICS services all of Tennessee, including the following areas: La Vergne, the greater Davidson County, Murfreesboro, Nashville, Brentwood, Franklin, Memphis, Belle Meade, Gallatin, Hendersonville, Smyrna, and more. Every city, state, and region has its own unique characteristics that can affect how a private investigation should be handled. Smyrna is home to approximately 40,000 people and several industrial plants, including a Nissan plant, which employs over 6,000 people. The city is progressive and innovative, and residents of Smyrna look forwards to the city’s ever-changing dynamic, while still preserving the past. The expansion and corporate and industrial growth taking place in Smyrna has created a unique set of living conditions, with perks and problems that are a little bit different than anywhere else. When you need a private investigator that understands your city, contact ICS. ICS accepts most case types and operates in Smyrna and the rest of Tennessee. If you need to investigate any kind of family legal situation, whether children are involved or not, ICS has investigators with years of specialized training and experience that can be crucial in solving these types of cases. Many family troubles begin with an affair, so if you are worried that your spouse may be having an extramarital affair, or think you are seeing the common signs of cheating, call ICS for an Adultery, Infidelity or Cheating Spouse Investigation and find out the truth before any more harm is done by the affair. Often times in life, people lose touch with loved ones, and would like to reconnect with people such as birth parents, high school sweethearts, or old friends, but finding these people on your own can be nearly impossible. If you are trying to find someone who is missing or has been kidnapped, it can be frustrating and challenging, and the police may not be able to devote enough time to your case. No matter whom you are trying to find, ICS can help with a Missing or Lost Locate Person investigation. One of the simplest, and most beneficial services that ICS provides is a background check, which can make a difference whenever you need to make a decision about someone, no matter how well you think you know them. ICS is Smyrna’s full service private investigative agency, so contact us today and begin your free consultation.